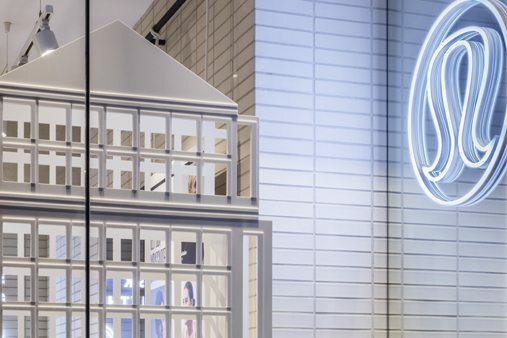 Prop Studios continued our partnership with Lululemon. 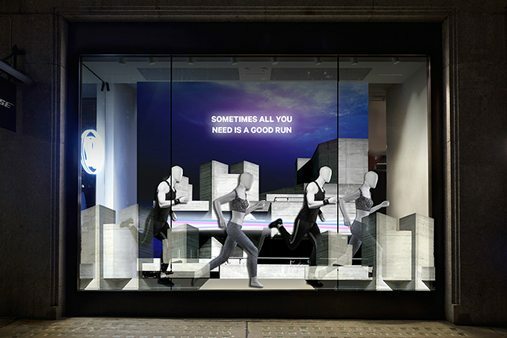 We replaced our launch window scheme with a celebration of the London Marathon and the Lululemon ‘run philosophy’. 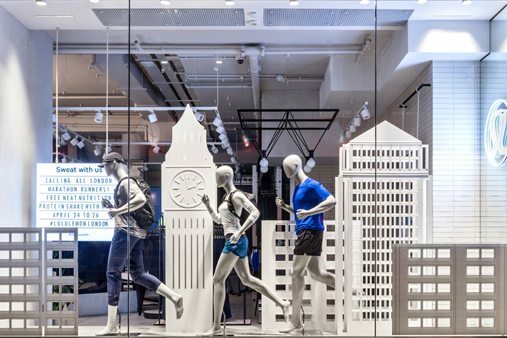 Featuring a layered London skyline as the backdrop to the London Marathon, Lululemon displayed its affinity to the iconic annual event. Luluemon’s brand values lie in it’s technical athletic gear and it’s value of community. 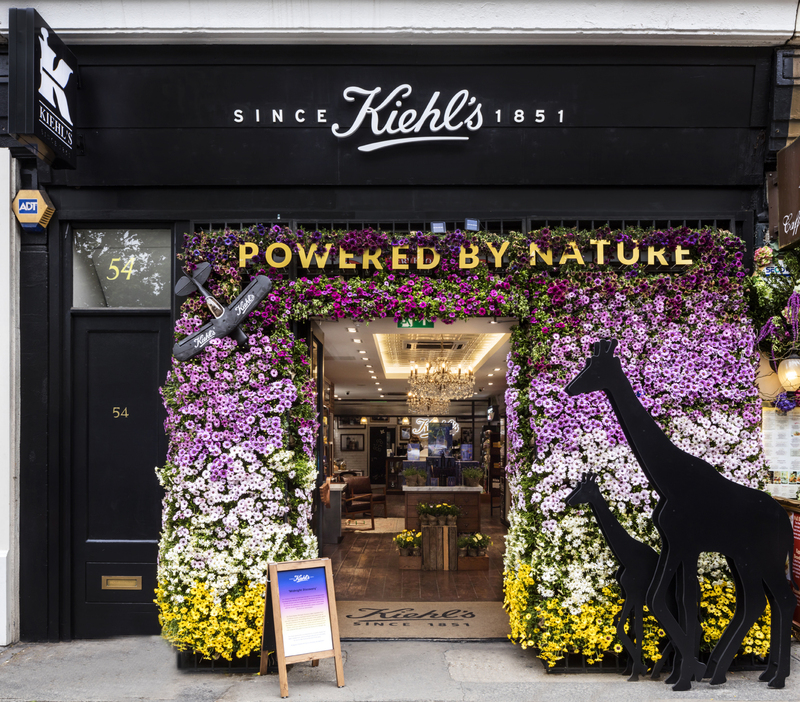 The London Marathon is a perfect showcase for the brand to share these values. Prop Studios designed, manufactured and implemented a window scheme to reflect this. Our Designers created moodboard inspiration and hand sketched concepts which were then developed into 3D renders and Technical Drawings. 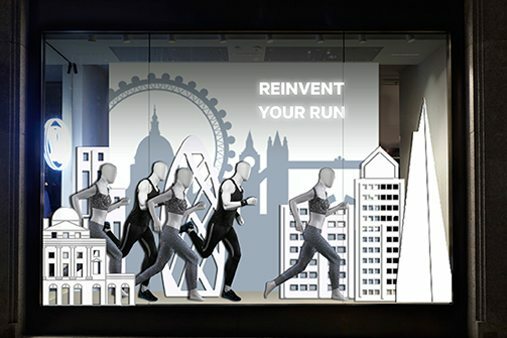 A contemporary, simple and light design of a layered London skyline was crafted to visualise the brands affinity with the London Marathon.